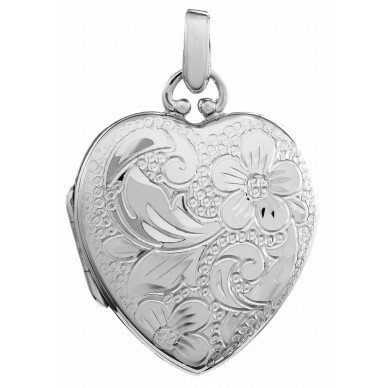 This heart shaped locket shows a beautiful hand engraved floral design on the frontside, and a high polished finished on the back. 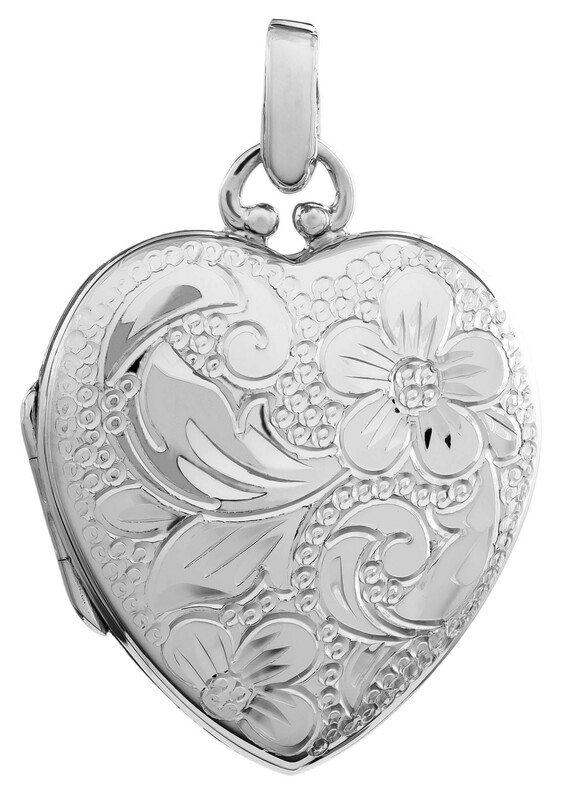 Measuring at 1 Inch wide by 1 1/4 Inch Tall , this locket is the perfect size and gift for anyone. 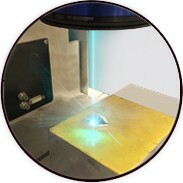 The inside allows for message engraving & photo insertion of two photos or a mix of the both.